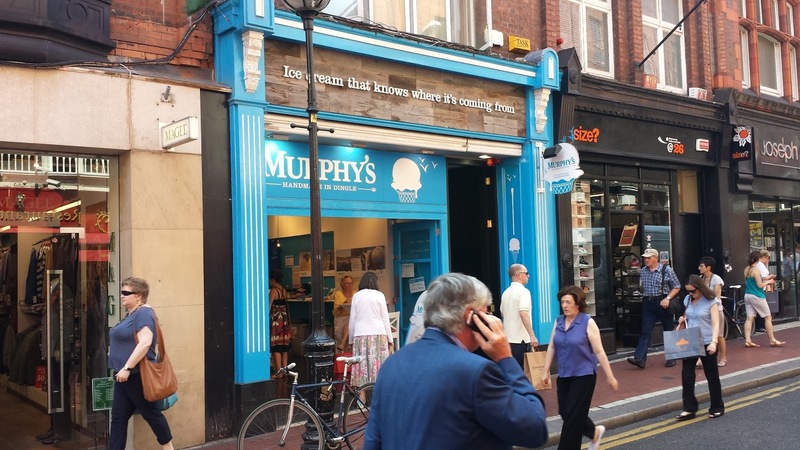 It's absolutely sweltering in Dublin right now and all I can think about is sea salt ice cream since reading a post on Lovin Dublin yesterday on Murphy's of Wicklow Street. I will generally attest to not being the biggest fan of ice cream, I am a take or leave it kind of guy. I guess thats why I have never darkened Murphy's door before. Ice cream for me generally gets boring after the first few mouthfuls, I can't explain why but the taste for me never lingers long enough. 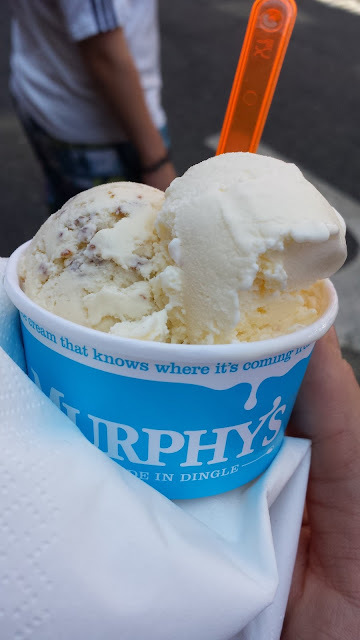 You may have heard of Murphy's by now basically two New York brothers moved to Kerry to strike up an ice cream business that has sky rocketed over the past few years. Cutting long story short I am here to get my fix! to help cool me down. They have wonderful sounding flavours and a few I have never heard of before. 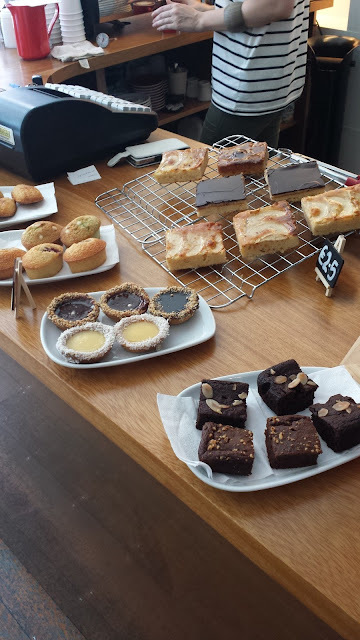 However I was here for one flavour, the sea salt! 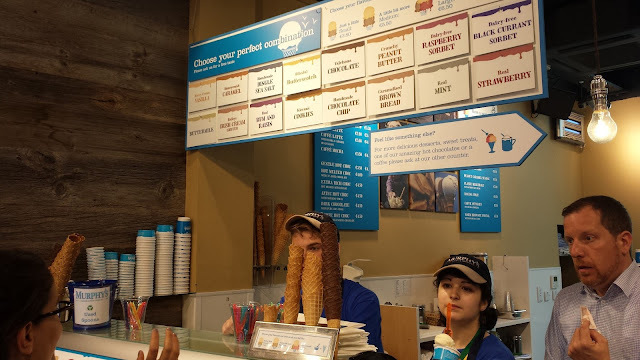 Firstly before I go any further the staff are so nice and helpful willing to allow you taste as many ice creams as you like, you couldn't wish for a better experience. I picked up one scoop of sea salt and one of their caramelised brown bread. Aaaaaaaaaaah WOW, the sea salt ice cream was incredible, such a gorgeous taste and it lingered the taste remained throughout. I also gave my brother a taste and he felt the same but also said for some reason it tastes like Milky Moo ice lollies from when we were kids, of which we both loved. Then on to the brown bread ice cream, flipping delish! I even remember the first time I had brown bread ice cream, it was in Durty Nellies in Bunratty in 1998! I remember that because it was World Cup 98 and my dad's cousin surprise visited him and took us for dinner. I remember thinking Jesus this ice cream back then was horrible, it was like someone took a tub of vanilla and mixed in a loaf of soda bread, *Shudddddder* not good! However the same can not be said for today, this brown bread ice cream rocked! I nearly was tempted to lick the tub clean, it was so good and for the first time in my life I think I will be returning to this ice cream parlour! 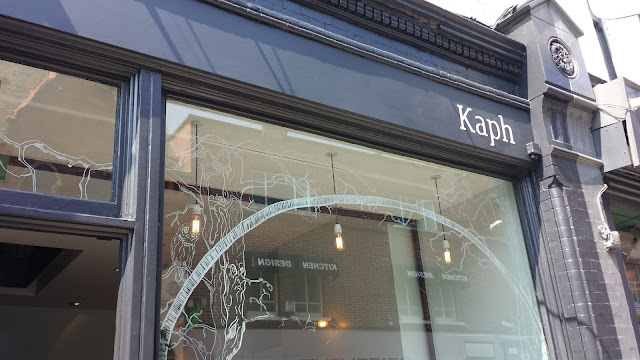 Now myself and the brother could have stuck around for a coffee in Murphy's as I have heard they do a good cup but I knew there was a brand new coffee place over on Drury St by the name of Kaph. The coffee was perfect especially after the gorgeous ice cream. I am so happy to see so many good coffee places cropping up now in town, the next one on my radar is Coffee Angel on Pembroke Street, right by my job which in turn means no more crappy coffee in work. 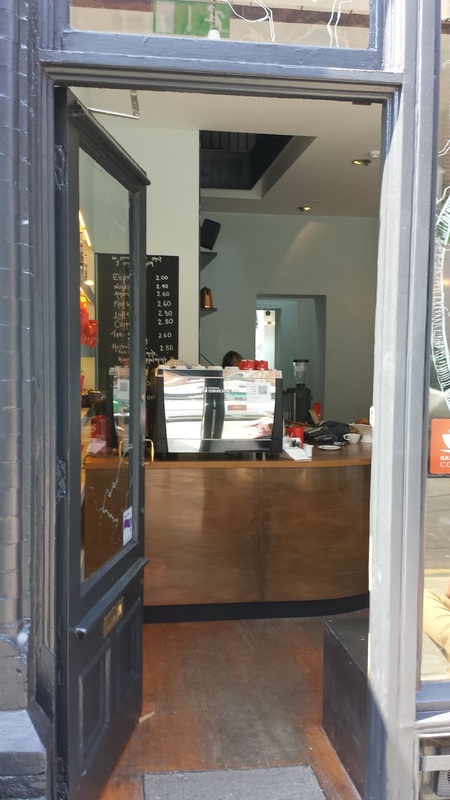 Yet again like Murphy's we were served by an extremely friendly girl who was very knowledgeable about the coffee. 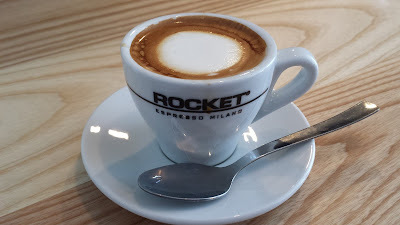 What a great lunch we both had, I absolutely love this city right now, baking in the sun with great ice cream and coffee. Go to both places you will love love love them!